@littlevineyards is here answering questions and sharing Notes From the Vintner Compare to Band Blend Track 9: Band Blend Live is made by the same winemaker so the overall style is similar but the varietal content is different. @Alien88 enjoyed their bottle and shares why in this Lab Rat Report I would say it’s a medium bodied wine - a nice amount of tannin but it’s not in your face aggressive with it. Introducing your headliner for the evening: Band Blend Live, California Red Wine. This wine is composed from hand selected grapes from California’s finest vineyards. With dark, intense color, Band Blend Live has enticing aromas of black cherry and juicy plum fruit with hints of vanilla. The soft, streamlined texture is complimented with flavors of rich fruit and elegant spice notes. Band Blend Live, California Red wine pairs perfectly with grilled meats, roasted vegetables, and your favorite music track. Inspired by the love of music and wine, the Band Blend story began over ten years ago at the Little Family’s home estate in Sonoma Valley where vineyards and music are paired together seamlessly. With an on-site recording studio, and the bands music flowing through the vines, it was quickly discovered that band practice was better with a Little wine. Now is your chance to see Band Blend Live as we take Band Blend on tour! Joan and Rich Little aspired to live in Sonoma Valley, raise a family, grow grapes and one day produce premium red wines. This dream was one step closer to reality in 1996 when they purchased a 25 acre property from the Hanford Family in Glen Ellen. Since that time, they have raised four children, restored the property’s century old farmhouse, planted 17.5 acres of grapes and Rich even found time to make a little music with his bands.Eventually, Joan and Rich decided to blend their wine-growing knowledge with the winemaking expertise of Joan’s brother, Ted Coleman. In the beginning, they experimented with small lots of wine, which received great praise from their family and friends. In 2002, Joan and Rich began their efforts to establish Little Vineyards as a small bonded winery producing no more than 2500 cases a year. They were approved to crush their first vintage and Ted crafted two award-winning wines from their estate grown fruit: 2002 Zinfandel and 2002 Resonance, a Syrah and Cabernet Sauvignon blend. @ilCesare The “winery” price is incorrectly listed. @DanNC @ilCesare In fact the website does show a price of $4.58 for some reason. Although it is not in stock. Suggested retail in the WE review is $13. That’s probably a little closer to reality. He saw “Teroldego” and thought it was Ricky Bobby wine? Little Vineyards has been a favorite for years, ever since the first RPM Historical Tour in 2008. Haven’t been disappointed yet. Says the chipmunk! Your brothers are Alvin and Simon, right? @CruelMelody @MarkDaSpark funny, this was one of my least favorite stops in multiple wine tasting trips in Sonoma. @CorTot @CruelMelody @MarkDaSpark Yeah, I stopped there once and did not particularly enjoy. That may have been in 2011 or so. I should give them another try, for sure, but I don’t get to Sonoma with any regularity any more! You mean Theodore and Simon? If I’m going to be a chipmunk I might as well be the alpha! @chipgreen. Except Theodore was the one wearing green! @TimothyB and I stopped there in 2017(?) on the way to the last Wellington wine club pickup. Very friendly staff, but it wasn’t crowded due to the rains. Plus, they have a really nice PS Port! As Mark DaSpark noted, Little Vineyards was one of the stops on the 2008 rpm Magical History Tour. We had a delightful lunch on the crush pad, Rich himself played for us (a treat! ), and all of us enjoyed tasting the wines at the then relatively new winery. I think almost everyone bought wine with genuine enthusiasm, though it was quite early in the Tour and I was still cautioning people to keep their wallets dry because there were many more fabulous wineries still to come. The wines are well-made and good. I think the red blend has been a good value over the years when it has been on [the former site which shall not be named?] and I thoroughly enjoyed the 2004 Cabernet I snagged on the 2008 Tour and laid down for more than 10 years (per my normal practice). @kaolis Thanks for hunting that down for us! @kaolis Published date: “4/1/19” (looks at calendar) fwiw indeed. We enjoyed the Band Blend Track 9 offered here last year. How does this compare? Price is much more attractive on this offer. @knlprez I enjoyed the previous offer as well, but the blends seem so different as to not even be comparable. Hope for some winery insight. @knlprez @KNmeh7 Hello! Band Blend Live is more fruit forward and a little less spice than Band Blend Track 9. It’s a great everyday drinking wine. Our loyal Band Blend customers have said Live is just as great! Hi Everyone! We are here to answer a few of your questions. -Price: The correct price if you purchased from the winery is $20/bottle. We aren’t sure where the $4.58 price came from but the website has been fixed! -Compare to Band Blend Track 9: Band Blend Live is made by the same winemaker so the overall style is similar but the varietal content is different. Band Blend Live is more fruit forward and has less tannins than the Track 9. I would say that the Track 9 has more spiciness than Band Blend Live. Apologies for the late report! Work was crazy for me today. I let the bottle settle for a few days before opening it, to make sure it recovered from travel shock. Upon opening the screw top, I took a sniff and immediately can smell hints of fruit and heat. The first pour into my glass shows a nice dark red color, almost mulberry. Smelling in the glass after a swirl, I picked up hints of vanilla and fruit. The legs lasted for a good 45 seconds or so. I’m not the best at identifying flavors with wines and I certainly smell heat from the alcohol in it. Originally this had me a bit worried given I’ve had medium-high alcohol content wines that I did not enjoy. First sip I certainly taste a nice fruit flavor, followed by pepper. It’s very well balanced and even though it seems dry, sometimes has a ‘sweet’ finish to it. I would say it’s a medium bodied wine - a nice amount of tannin but it’s not in your face aggressive with it. Given the alcohol content, I was pleasantly surprised at how great it tasted. Nice mouth feel, complex flavors that finish well. It went fairly nice with the tacos I was having for dinner. After having a glass and letting the bottle breathe for a few hours, I would say the heat/alcohol smell disappeared and it was more well balanced. I very much enjoyed this bottle of wine and would recommend purchasing it. I was happy to read more info about this wine and realized my notes were pretty accurate to the description! @Alien88 that’s some fine rattage! Ack! Kept forgetting. Casemates March Madness Brackets is live. 11 hours til tipoff. Thread started. @chipgreen @MarkDaSpark i’m in! let the games begin! Why is it impossible to get to the local boards from the main page? Put in a slightly different way: Am I an idiot or does this website need some work? Going back to my email to find when I was notified that someone in the Baltimore group mentioned (or whispered) me is a pain. OK, I unscrewed myself. All good(er). Probably can spare 2 or 3 bottles. 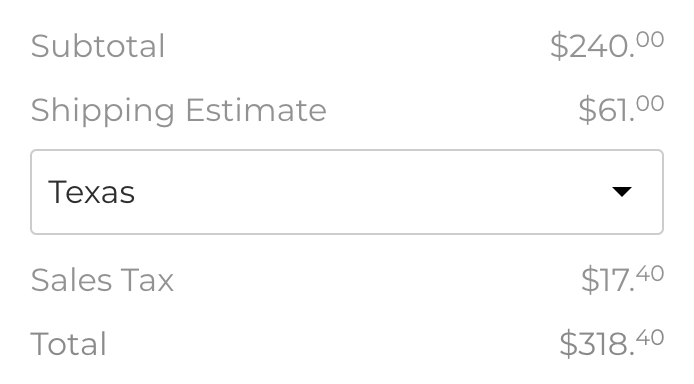 No shipping cost, so just sales tax. Enjoyed the Track 9, so pulled the trigger on this one. @Mark_L Let us know what you think! We hope you enjoy it as much as we do. Whew I got lucky! I saw this come up earlier in the week, procrastinated, then managed to sneak an order in as my PC clock ticked over to 12:01. Bummed I missed this one. Stupid work.